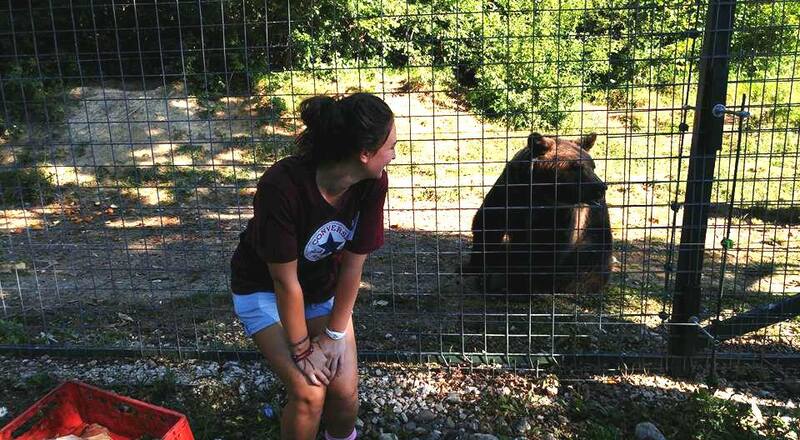 Sadly Rosie’s 4 weeks in Romania are now coming to an end, and she tells us more about her last week volunteering with bears. Saturday was well and truly a chill out day! I wandered around the town and bought my souvenirs for back home! It was raining on and off so there isn’t much to report. In the evening we went out for a couple of drinks at Deane’s and then, of course, we ended up in ‘Times’. We got back to the flat in the early hours and had a great night! As I mentioned in a blog a few days ago we did pay a visit to the shopping mall which was great. I bought some clothes as did Miriam and Jon. Hannah had met up with some friends in Brasov and we came together at night. The mall was great and only 10 lei between three of us in a taxi there which is so cheap!! That night we all collapsed into bed and slept a long time! Wow, my last Monday… It’s sad thinking it’s my last week however I know all good things must come to an end. Today was a real tiring day! The weather wasn’t that great either. We were on dairy and ‘pate’ today. We literally had to empty thousands of cans of pate into the creates for feeding, honestly all our fingers were killing us but the treat of seeing the bears and wolves playing was more than enough encouragement to get us through it. We were also able to go up onto the photography platform today which was incredible. This gives a great view of the big main enclosure, and a sneak peak of the four month old cubs and max etc. The view was breath-taking! That night we decided to order a Chinese takeaway and watch a film, it was such a great chilled out night! Today we were on dairy again and luckily, no pate. 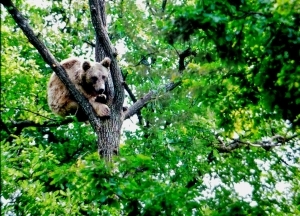 For some reason the bears were all quite agitated today but I think it was because it was taking a while for feeding due to the weather and so on. There isn’t much to report today, however it was another really good day! Well, today was officially my last full day at the sanctuary, tomorrow I will be working but just in the morning due to our driver having other commitments which require him to be at the airport early. Despite this I still had a brilliant day. Today we had the morning doing tours from 9-12 which were exhausting but great! It’s crazy seeing so many people can fit in one location but it’s all worth it to fund the bears being there! We were basically on crowd control and making sure everyone stuck with the right group and so on. Lots of people had questions too which is always fun to answer with the knowledge we have gained over the past few weeks. Once we had finished, we had lunch and then went to food prep where we did dairy. The bears and wolves were active and so were the dogs and especially the goats who, in particular the baby, gets more and more cheeky each day jumping up on us like dogs! But she’s lovely. I’m very sad that tomorrow is my last day and night here in Romania, but I have to say that I have loved every second of it. As this was my first time travelling alone, I never thought I would click with new people so well and over such a short period of time, but out of both groups I know I have made friendships that will last a life time! I am going to miss this place and every single one of the people at the sanctuary who all accept you into the family. 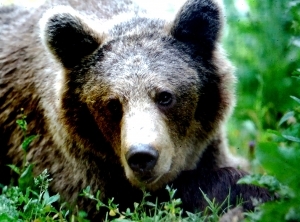 This is what the bear sanctuary is, one big family who provide so much love for the bears and all their colleagues, and who were so accepting of us all. I know I will come back here sometime in the future because the work he is so rewarding! I would just like to encourage anyone of you who is reading this blog now to throw yourself into this project or any of the Oyster projects around the world. You will not regret a minute of it. I’d like to thank Anne for setting everything up and making this happen and Razvan who never fails to put a smile on my face when we see him! You rock Razzle! 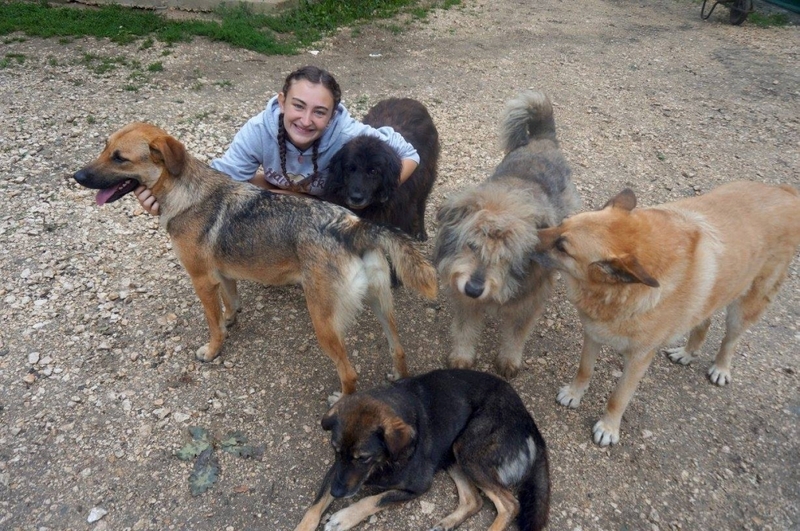 To find out more about Rosie’s week volunteering in Romania, check out our volunteer with bears page. What an amazing journey she has been on, and we will be sad to no longer receive daily updates! Thank you so much Rosie.